It’s taken me awhile to get to this point in our adventure. It’s probably because in some way, I’m still mourning our time and adventure along the Camino. It has truly been one of the best experiences in my life. We plan to walk again someday. Not sure when…maybe before the next big job move, or maybe after retirement. All we know is we will join our fellow peregrinos on the Camino de Santiago again. 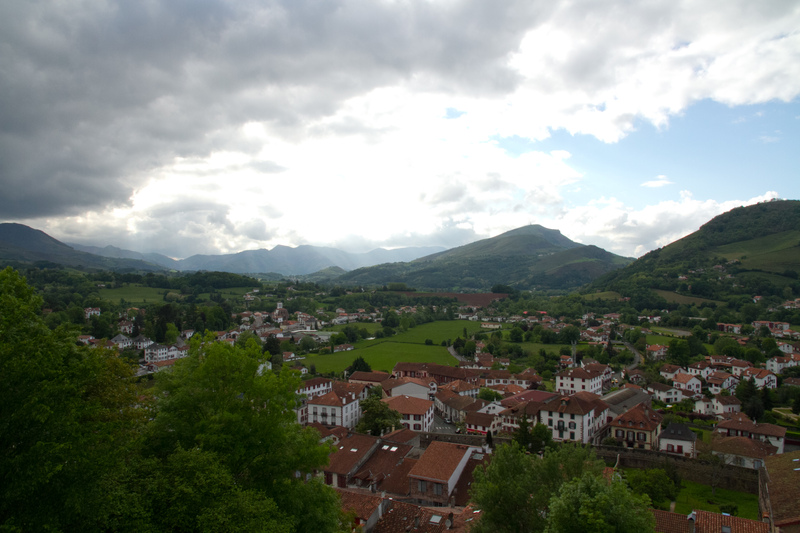 Our journey to St. Jean Pied de Port was a long one! We left San Sebastian early in the morning for Bayonne, France. Upon arrival, we had two hours to explore the city before catching our next train. We wandered past the cathedral and walked inside to find a chapel for St. James. We both lit candles at his alter. Tensions, emotions, and stress were high at this point. We were embarking on one of our dreams, and our only regret from our time in Spain. We just asked to finish. 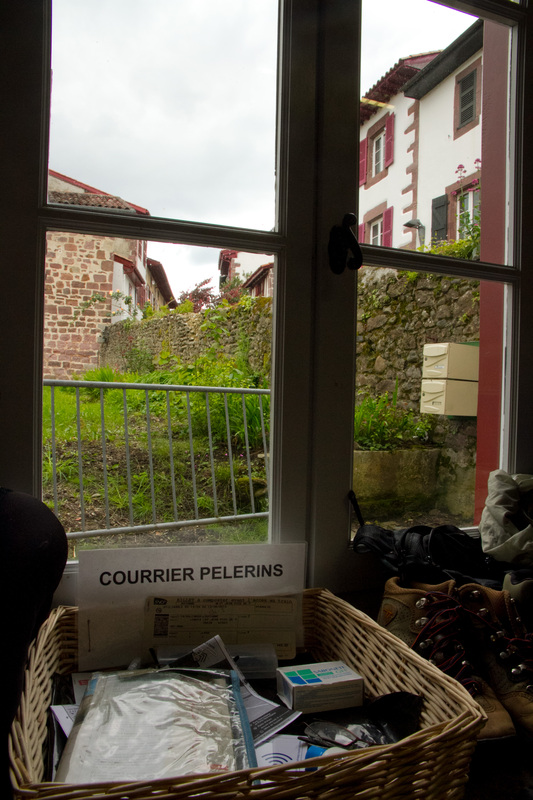 The small train to St. Jean Pied de Port was packed with pilgrims as we headed to our first stop on the Camino. Age, fitness level, and equipment were as varied as the countries we came from but one thing was constant, the anticipation. The anticipation was palpable as several pilgrims chatted about how long they would walk, why they were walking, and other small talk to kill time. The closer we drew to St. Jean, it increased. People began to fall silent. The shudders of the cameras slowed. People removed their earbuds and turned off their iPods. We all sat transfixed on the mountains and valleys as we inched closer to the village and seemingly farther back in time. 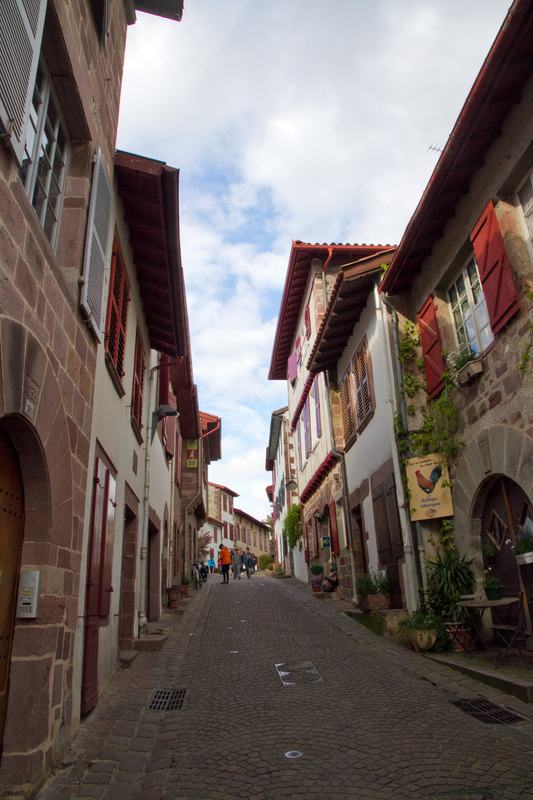 When the doors finally open, hundreds of pilgrims swarmed into the sleepy town of St. Jean. It wasn’t hard to figure out where to go; you only needed to follow the stream of pilgrims as they headed up through the arch and into the inner city. 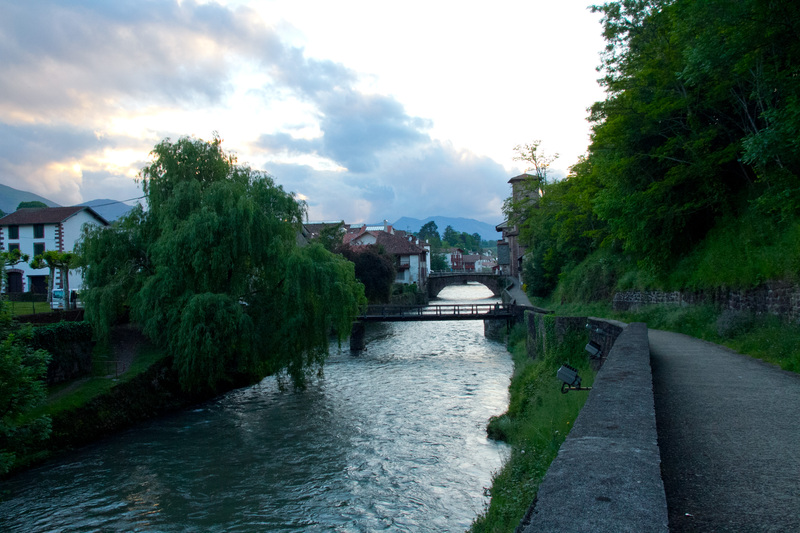 Immediately, I fell in love with this village. I have long been a fan of small, mountain towns (the pueblo blancos of southern Spain are some of my favorites) but the timeless feel of this village. Oh my! You suddenly felt as if you were a medieval pilgrim walking the streets, though we are afforded far more comforts today. There’s a surreal feeling about doing something that has been done for hundreds of years. You feel as if the energy of those that walked before you, and those that will come after you, are linked and you’re all connected. This energy breathes a sense of vibrancy, compassion, and camaraderie to the village. The streets were lined with shops selling outdoor gear, the famous pilgrim shells, knick-knack souvenirs, and foot care. In between all the shops were albergues, or pilgrim hostels, hotels, and restaurants. We made our way to the Pilgrims Office where we completed the paperwork, paid our dues, and received the first stamp in our pilgrim’s passport. We were official. We were peregrinos! Our happiness didn’t last for long as we were also informed that the mountain route (also known as Napoleon route) was closed due to snow a few days prior. This is truly the downside of planning outdoor adventures with little room for adjustments; you never know what Mother Nature has in store for you! So how do you fully prepare for a hike like this? I was up most of the night pondering that and the thousand other questions racing through my head. Had I trained enough? Was I mentally strong enough to power through those moments of physical and emotional pain? Would I complete my journey? Would it transform me? Nothing was known, or certain, at this time. 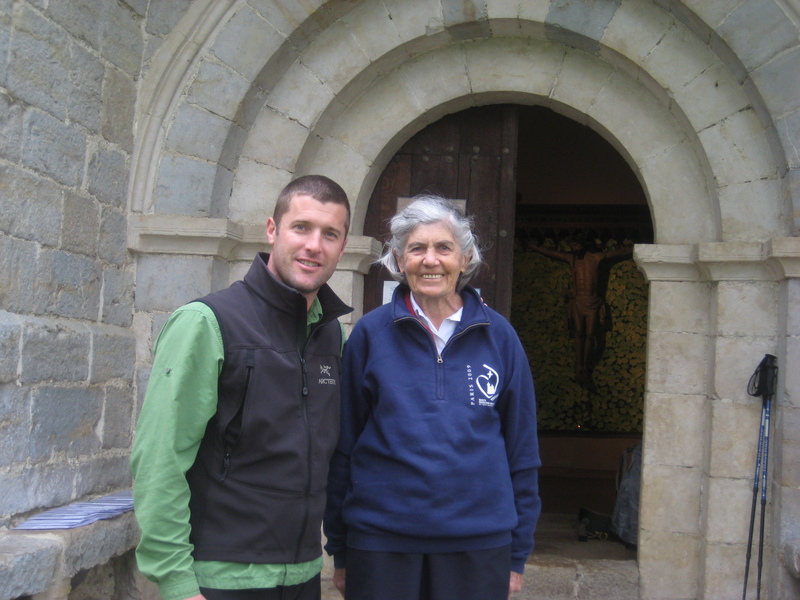 This was the first and most basic lesson of the Camino for me. Just wake up and put one foot in front of the other. Forward progress, not matter how fast or slow, was all that was needed or required of you. 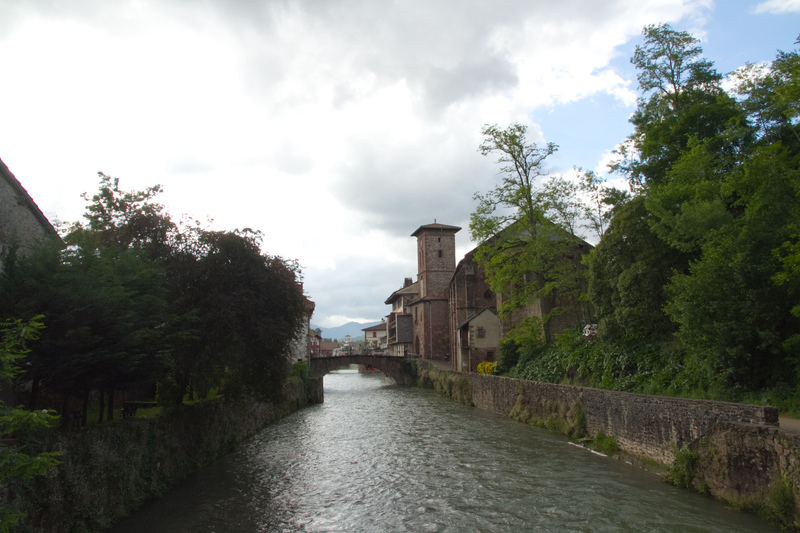 Join me on my next post where I’ll review our first five days on the trail as we walk from France into Spain, into Pamplona, and through the beautiful countryside leading to Puente la Reina. This phrase was written on a stamp we received along our first leg of the Camino de Santiago. It became the stamp we would routinely flip to and reflect upon for the remainder of our Camino. We received it from a little church called Igelesia de San Esteban (Church of St. Stephen) located above the road in Zabaldika. Many pilgrims passed by the church without detouring to it. One of our pilgrim friends said, “I can see it from the road so no need to walk up!” It’s true. You could see it from the road but sometimes things that are right in-front-of-your-face turn out to be the best surprises. After a sloppy walk through a river area, my husband asked which route to go; the lower river route or the high route. I figured I was here to see and experience everything. The little churches and chapels were there for good reason. They were the placed along the camino as a place of refuge for weary pilgrims so up we went! I don’t think there was a better phrase to describe this small church. It was a pause on a pilgrim’s journey. One that many passed without stopping. It is also a constant reminder that those small pauses, or moments, tend to create the best memories. We were so glad we paused. 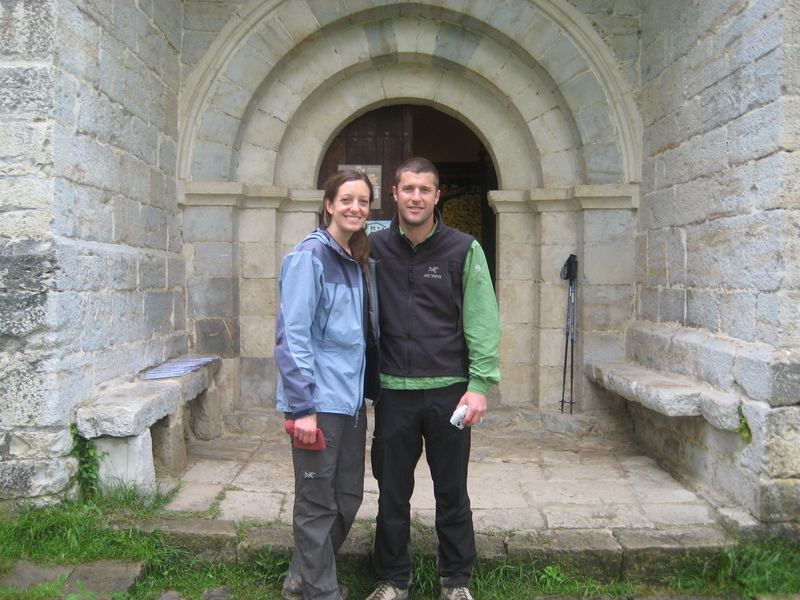 She also gave us what became one of my most cherished keepsakes from the Camino. A simple prayer, Our Father For Pilgrims, and the Beatitudes of Pilgrims. These two pieces of paper were beautiful reminders of our journey. 1. Blessed are you pilgrim, if you discover that the “camino” opens your eyes to what is not seen. 2. Blessed are you pilgrim, if what concerns you most is not to arrive, as to arrive with others. 3. 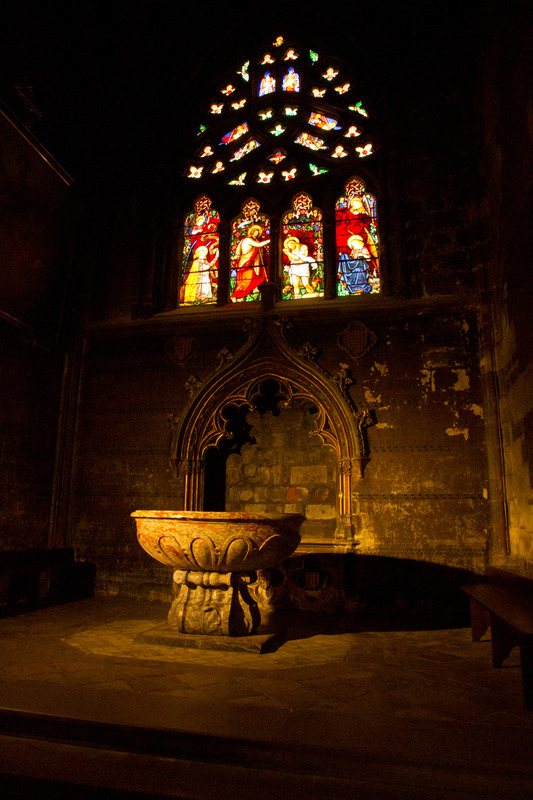 Blessed are you pilgrim, when you contemplate the “camino” and you discover it is full of names and dawns. 4. Blessed are you pilgrim, because you have discovered that the authentic “camino” begins when it is completed. 5. Blessed are you pilgrim, if your knapsack is emptying of things and your heart does not know where to hang up so many feelings and emotions. 6. Blessed are you pilgrim, if you discover that one step back to help another is more valuable than a hundred forward without seeing what is at your side. 7. Blessed are you pilgrim, when you don’t have words to give thanks for everything that surprises you at every twist and turn of the way. 8. Blessed are you pilgrim, if you search for the truth and make of the “camino” a life and of your life a “way”, in search of the one who is the Way, the Truth and the Life. 9. Blessed are you pilgrim, if on the way you meet yourself and gift yourself with time, without rushing, so as not to disregard the image in your heart. 10. Blessed are you pilgrim, if you discover that the “camino” holds a lot of silence; and the silence of prayer; and the prayer of meeting with God who is waiting for you. 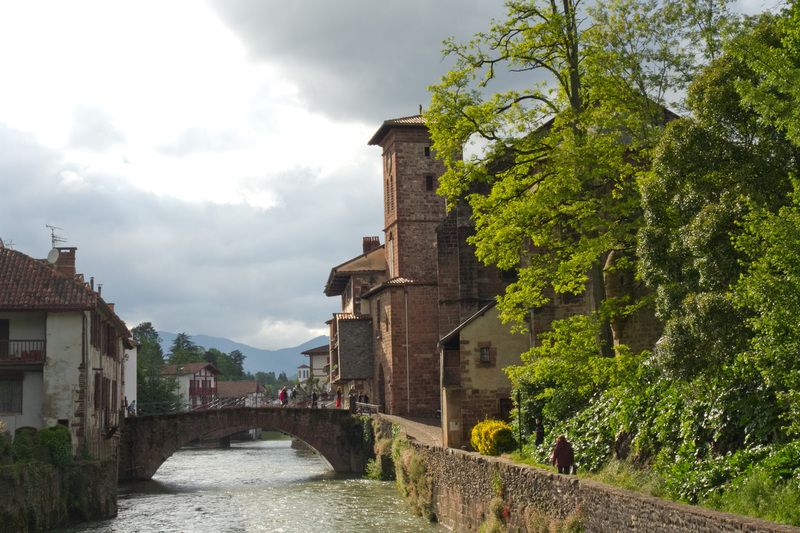 The beautiful village of St. Jean Pied de Port in France. It was our starting point for the Camino de Santiago. We’re back in Japan! 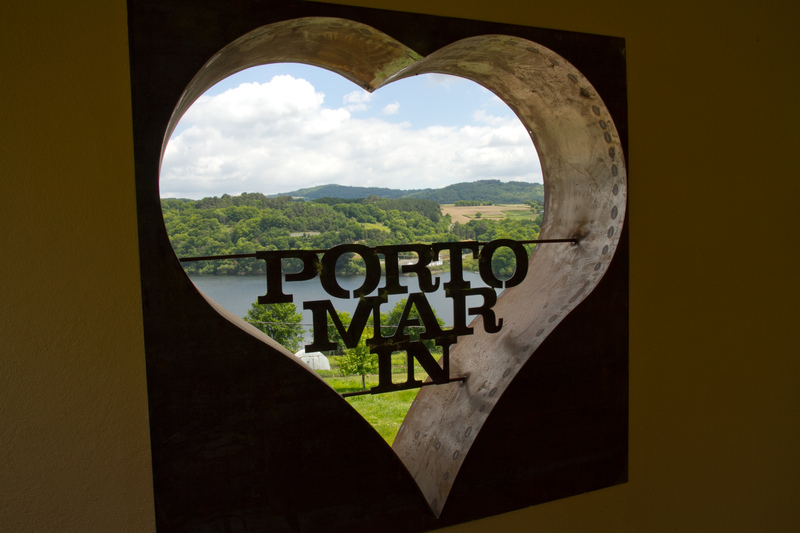 It was a whirlwind trip full of sightseeing, delicious food, and the Camino. I’m thankful for walking the Camino because it gave me the carte blanche to eat whatever I felt like (well, at least in my rationale!). I’m still processing this trip. It was an amazing and overwhelming experience. There were moments on the trail where I was thinking, “What the hell was I thinking when planning this trip?” But in the end, this was quite possibly the best trip ever. I got to know myself better. I got to know my husband better. And more importantly I got to grow and share this experience with several other pilgrims that I met along the way. I haven’t had this type of close and intense bond with people of so many varying backgrounds since my college years. And maybe it’s based on the situation; I can see the parallels between the two experiences. We were all pushing ourselves to something greater. We were open to change and others. We shared in the highs and the lows. We shared communal living areas in the albergues (pilgrim hostels). We helped pick each other up during those challenging moments. We cheered on each other. We shared meals along the trail where we recounted the day’s activities, people we’d met, and our lives. We were detached from our extended support system. And most importantly, we were all working towards a common goal, Santiago de Compostela. 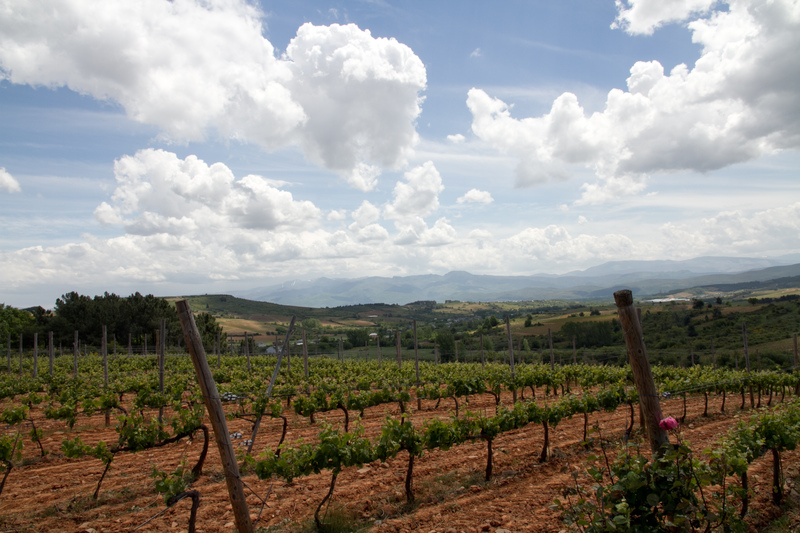 Walking through the vineyards as we neared Villafranca del Bierzo. The views along the path were breathtaking from the Pyrenees to the misty, early morning walk through O’Cebreiro in Galicia. There were also the unspectacular views of walking along major roads with cars passing you and the sidewalk pounding as you entered and exited many large cities. However, what I still remember the most are the people. They were my friends, my family, and my travel companions on that brief adventure. It’s ironic that at the end of the trip, I was ready to leave Santiago de Compostela after only three nights. In that time, our pilgrim friends had begun to make their journeys back to their part of the world. I could no longer walk the inner city and run into Dr. Spaghetti and his Italian crew. We would no longer be enjoying beers with fellow American pilgrims at a local tapas bar. We no longer knew the pilgrims entering the plaza after having completed their Camino. The time had come. It was time to return to reality but take this experience and its lessons with us. I will be posting more about the Camino and our European adventure that included stops to Paris, San Sebastian and Madrid. Of course, there will be some cooking classes and food tours in that mix!